When I first moved to southeastern Virginia in 2005, I remember one of the most difficult things for me was trying to learn where I could go to be out in nature & observing birds. eBird hadn't yet become popular, and I wasn't yet connected in with members of the local 'birding scene'. At the time, I actually used my Rand McNallly US atlas to pick out Back Bay National Wildlife Refuge and First Landing State Park, which became the first two sites I visited. Since then, the internet has continuously evolved to the point where the passage of information pertaining to the natural world is always available at the touch of our fingers. However, despite the mass amount of information that is readily available, the organization of websites on the internet can at times be convoluted and confusing for someone new to a given region. My intent with the "Locations" section of the website is for it to provide the essential information for someone who has never been Virginia Beach. Through this section, I will present general information on the many parks and other sites that are frequented by birding & nature enthusiasts. I plan to continue adding locations to this listing as I learn more about them, and as time permits. Please note that each photograph at left is actually a slideshow of some of the habitats, and the more interesting bird species that I've observed at each of the locations, just click the photo to advance to the next one! Accessibility: A single entry gate is located at 4005 Sandpiper Road. From 1 Nov through 31 Mar, the park is free to enter. During this time, the East & West Dikes are closed to protect wintering waterfowl. The trails near the visitor contact station (Bay, Bayside, Kuralt, Seaside, Dune Trails & Loop Road) and the beach from the Seaside Trail south to the border of False Cape State Park are open. During the 1 Apr through 31 Oct timeframe, there is an entry fee ($5 for vehicles, call 757-301-7329 to verify). During this time, either the East or West Dike will be open, and all the others are as well. In 2015, the East Dike was the first to open on 1 Apr, while in 2016 it was the West Dike; check with the park in advance to verify which is open. Species of Interest: During the winter, the bay is a haven for waterfowl, and highlights are Tundra Swans, Snow Geese, Redhead, Canvasback, and occasionally Eurasian Wigeon. On the ocean, Red-throated & Common Loons are often seen, along with Horned & Red-necked Grebes. Orange-crowned Warblers are a typical target in winter, and the park is one of the most reliable in Virginia for finding King Rail & American Bittern. In summer, Orchard Oriole, Blue Grosbeak, Indigo Bunting & Yellow Warbler provide a colorful rainbow of feathers, and in late Fall, the park can be home to rarities such as Western Kingbird. Accessibility: There are three entry points to the park, but for GPS device, 3957 Marlin Bay Drive is useful. Pullovers along Marlin Bay Drive and Dinwiddie Drive also provide trail access. The park is open year-round from sunrise to sunset. Species of Interest: PHP, as it is locally referred too as, has become a widely popular stop for birders over the last several years. The area was once slated for a mixed-use development but coordination between the City, the Chesapeake Bay Foundation and The Nature Conservancy allowed this unspoiled tract of land to be saved for outdoor use by the public. During the winter, Clapper Rails are often seen & heard in the salt marshes adjacent to the park. Waterfowl often make a winter home out of Pleasure House Creek, and a Eurasian Wigeon in 2015 was widely observed. Other unusual species such as Say's Phoebe and Western Tanager have turned up at the park as well. In Spring & Fall, the low tide exposed mudflats and sandbars provide stopping point for a variety of shorebirds & terns/gulls. American Oystercatchers and Black Skimmers are frequently observed year-round at this site and are often a target bird for visiting enthusiasts while in the region. In summer, Yellow-crowned Night-Herons become extremely numerous throughout the park, and it is the most reliable place in Virginia Beach to observe them. Accessibility: The main entry gate is located at 2500 Shore Drive, and an auxiliary entry road is at 64th Street off Atlantic Avenue. Both vehicle entry points require a fee ($4/weekday, $5/Saturday or Sunday for trail access). Species of Interest: First Landing offers a higher mileage of trails than any other park in Virginia Beach. The park was once titled "Seashore State Park" but was changed to reflect the first arrival of the Virginia Company to the shores of Cape Henry. A sand beach extends along the northern boundary of the park along Chesapeake Bay, which can be an excellent location in winter for viewing waterfowl and gulls. Black, Surf & White-winged Scoter are typically visible, as are high numbers of Red-breasted Mergansers. Iceland Gulls are possible in this area as well. The majority of the park area is comprised of woodland and mixed cypress swamps. Because of this habitat, it is an excellent place to see year-round forest birds like Hairy, Downy, Pileated, Red-bellied & Red-headed Woodpeckers. In Spring & Fall, the park is an excellent place to find migrating songbirds, with an emphasis on warblers during springtime. Palm, Black-and-white, Black-throated Blue Warblers, American Redstarts, and Louisiana Waterthrushes are some common targets in the park, with the Waterthrushes very difficult to find anywhere else in Virginia Beach. Accessibility: The tunnel is accessible only by vehicle from Northampton Boulevard in Virginia Beach on the south side or at 32386 Lankford Hwg, Cape Charles, VA on the north side. South Thimble Island, or Island #1 as it is often referred, is the only island open to the public; it contains parking, a fishing pier & a restaurant (NOTE: AS OF OCT. 1, 2017 THIS ISLAND HAS CLOSED TO THE PUBLIC). Three other islands are open only to private groups for a fee. Species of Interest: The CBBT is most notable for being a winter stopping point for birders. Due to the manmade nature of the islands, birds that benefit from shoreline armoring are typical here. This included Great Cormorants, Purple Sandpipers, Harlequin Ducks, and a wide variety of gulls including Iceland, Glaucous or even Thayer's. Waterfowl often winter around the islands, with Long-tailed Ducks being one of the primary target species. Scoters (Black, Surf, and White-winged) are also seen often, and the islands are one of the more reliable locations to view Razorbills during periods of onshore winds that can help push them into scope or even binocular view. Red-necked Grebes often find a home here as well, during rough northern winters when they irrupt into our region of the coastline. During migration, raptors, songbirds, and shorebirds can all be found from the islands as well! Accessibility: A single entry gate is located at 4797 Indian River Road. The park is open year-round, generally from sunrise to sunset, but specific times can change and are posted on the entry gate. Species of Interest: Historically, Stumpy Lake gained popularity due to being a reliable location for Virginia birders to find nesting Anhinga. Over the years, the Anhinga have stopped nesting here (or have found a way to hide better), and so the park hasn't had as much birding 'pressure'. The entry causeway is a quarter mile or so long, and often provides views of wintering waterfowl, and also gives good views of the sky where Red-shouldered Hawks and Bald Eagles are often observed. 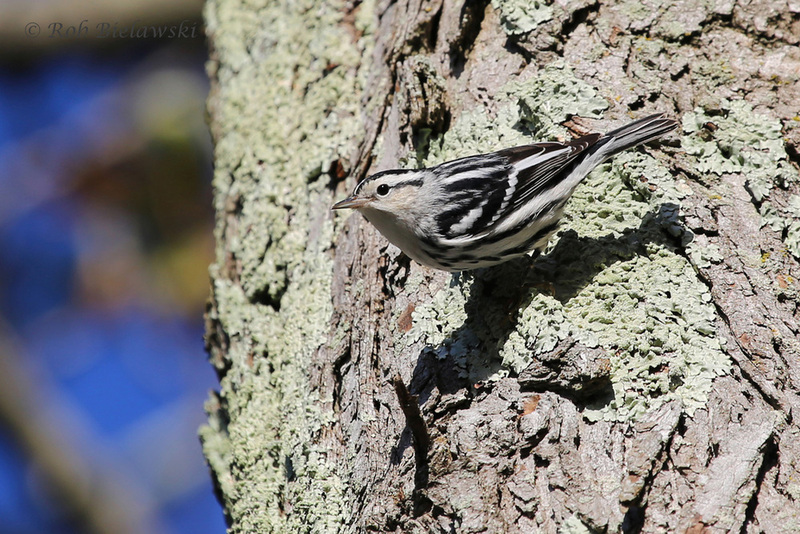 Primarily a spring & summer birding spot, Stumpy can produce a wide range of migratory songbird species, and like First Landing, is a great place to find warblers as they move through. Yellow-throated Warblers are reliably found at the park, as are Wood Thrush, Ovenbirds, Prothonotary Warblers, and several species of Vireos. Blue-gray Gnatcatchers often nest within viewing distance from the road also, and they're typically the first songbirds to arrive each spring. Eastern Wood-Pewees are heard in summertime more reliably here than anywhere else in the city. Accessibility: There are several 'tracts' to Princess Anne WMA, with Whitehurst & Beasley Tracts being the most easily accessible and therefore the most birded sites (Munden Road, just east of Morris Neck Road affords 2 parking areas). The Trojan Marsh Tract, and boat ramp are accessed at 1300 Back Bay Landing Road. Beasley & Whitehurst Tracts are open to birding on Sundays only from 1 Sep through 30 Apr each year, and open sunrise to sunset from 1 May through 31 Aug. An access permit is required, see website for more details. Species of Interest: Princess Anne provides several impoundments which transition from primarily water, to primarily grassy fields depending on the time of year. During winter, waterfowl spend much time on the flooded impoundments, with Blue-winged Teal being reliably spotted here, which makes it one of few public locations the species is usually observed before about April each year. Glossy & White Ibis, and American Bitterns are often observed in springtime as well. During summer, the impoundment waters are lowered, and shorebirds often stop along their migrations. In 2014, a Ruff was observed at the park, and this instantly made it a well known birding hotspot. Wilson's Snipe are also reliable here. Accessibility: False Cape is accessed by either the West Dike, East Dike or beach from Back Bay NWR to the north (no vehicular access). There is no entry fee at the park, but payment is required seasonally to get into Back Bay NWR (see above). A visitor center is located in the park about a half mile south of the Back Bay's East Dike Trail. Species of Interest: False Cape provides very similar habitat to Back Bay, with a large impoundment on the north side of the park, viewable from Back Bay and from two trails (at east & west) sides of the impoundment. The tract of land is wider at False Cape than to the north, and so maritime forest makes up a larger chunk of the area. Dunes & beach are found along the Atlantic Ocean coastline to the east. Because of its inaccessibility during much of the year, the beach is likely the only birdable area of the park in wintertime. Gulls, Forster's Terns, Pelicans and Cormorants are all likely at that point, as are some of the winter shorebird species like Sanderlings. In spring and summertime, migrating songbirds sometimes track along the coast and can be found in the park. These include Yellow-breasted Chat, White-eyed Vireo, Summer Tanager, Prairie Warbler, and Gray-cheeked Thrush. Since coverage of the park by birders is low, there are likely plenty of hidden gems waiting to be found by birders willing to put in the added effort! Accessibility: Rudee Inlet is located at the Virginia Beach Resort Area, just south of 2nd Street on Atlantic Avenue. No access fees are required to bird here, but on-street parking, and a municipal parking lot are metered. Species of Interest: Due to its ease of access and 180 degree views over the ocean to the east, Rudee is a hotspot for local birders and those just visiting the region. With hardened shorelines similar to the CBBT islands, Purple Sandpipers can be seen on the offshore jetty as well as the two breakwaters on north & south sides of the inlet. Great Cormorants & Harlequin Ducks can be seen flying past on occasion. In 2014, a King Eider stayed the winter at the inlet, and Common Eiders have made showings in recent years as well. Glaucous & Iceland Gulls are also known to show up during wintertime in the vicinity, most recently in 2016's winter for both species. The inlet itself is maintained by the City of Virginia Beach for boat traffic, and dredged material from the inlet is used to help replenish the resort area beach to the north. The outlet of the dredge pipe can often be a hotbed for masses of gulls while it is pumping, and is always worth a check at 6th Street Beach while operating. Razorbill, Red-necked Grebe, and perhaps even a Murre are all possible while seawatching from the inlet. Accessibility: There are two parking areas for the natural area, open sunrise to sunset, year-round. The primary entrance also included a boat ramp and is located at 5381 Shell Road, with the secondary entrance at a small neighborhood park a hundred yards southwest on Shell Road. Species of Interest: Primarily a spring & fall birding location, this natural area can also be a worthwhile spot in wintertime. During the 2014-5 winter, Common Mergansers were reported here due to the freshwater nature of the lakes, which at one point in history were connected to the Chesapeake Bay via Little Creek Inlet. Now disconnected, the freshwater provides a habitat for a number of species that prefer it over the brackish/saltwater that surrounds the region. Migrating warblers use the forest as a stopping point along their north & southward journeys in spring & fall. 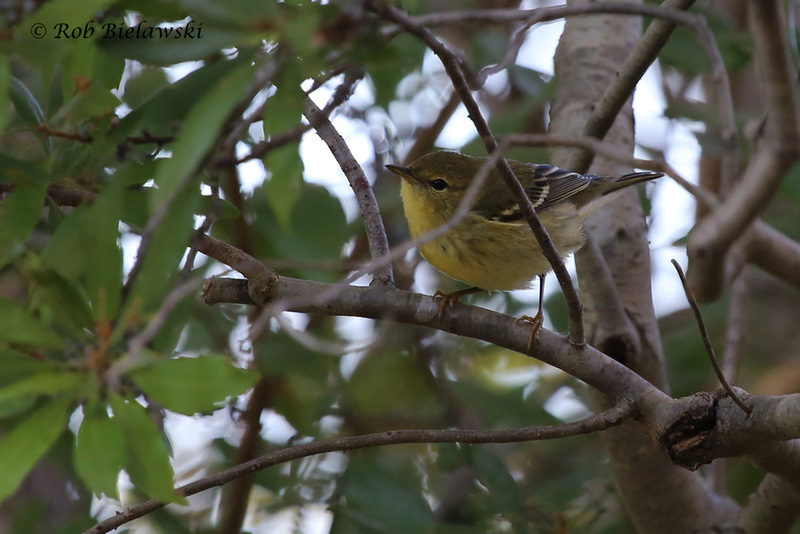 During October of 2015, the park proved an excellent spot, yielding Black-throated Blue, Black-throated Green, Blackpoll, Black-and-white, Yellow-rumped, & Chestnut-sided Warblers, along with American Redstarts in high numbers. Great Blue Herons and Great Egrets are also common year-round on the lake shorelines, and typical gulls and suburban species also make the park their homes.